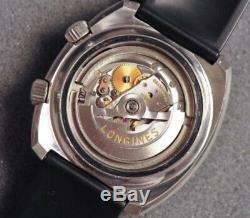 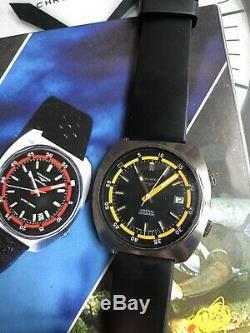 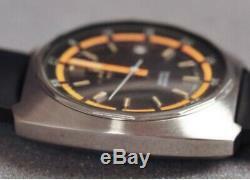 Very rare Longines Admiral Diver 2 signed crowns movement Longines 6652. 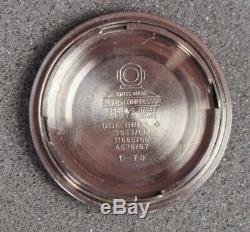 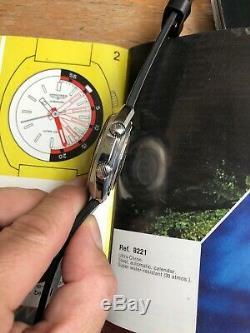 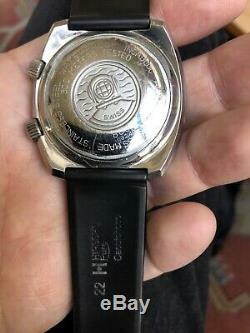 Ref 8887 on the back with its specific super compressor logo. 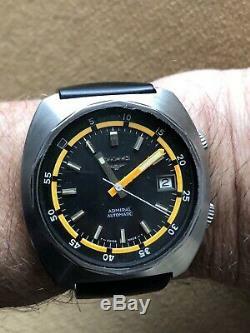 Working fine, dial in excellent condition with a beautiful contrast black/orange. 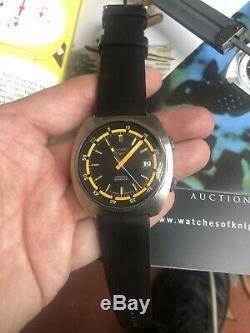 Rare model, not the more common Ultra-Chron or super Conquest compressor! 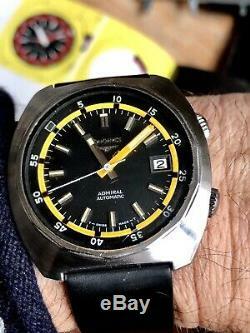 The item "Rare Longines diver Admiral Super Compressor 43mm Vintage Automatic" is in sale since Sunday, March 24, 2019. 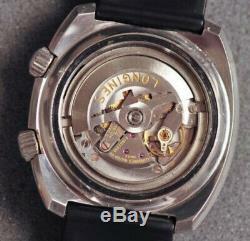 This item is in the category "Bijoux, montres\Montres, pièces, accessoires\Montres classiques". 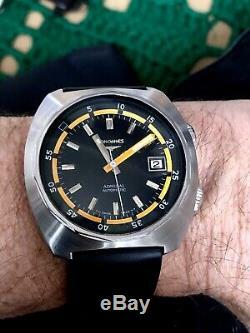 The seller is "ernesco" and is located in Paris, Ile-de-France.